88 percent of women look to other real women like themselves for true inspiration, but 71 percent don’t feel like there is enough of a spotlight on those stories and experiences. T.J.Maxx believes that oftentimes, the most inspiring stories are the ones right in front of us, and wants to create a venue to learn from everyday women across the country who are living their lives in their own unique ways. T.J.Maxx is kicking off the Road to Real, a 16-city cross-country tour in partnership with Katherine Schwarzenegger, best-selling author and “Lifestyle on Your Terms” blogger to capture and spotlight stories from hundreds of women in T.J.Maxx stores across the country – with stories ranging from everyday successes to exceptional feats. Schwarzenegger, who has focused her work on uncovering and addressing important women’s topics, will harness her journalistic skills to interview hundreds of women about their accomplishments, dreams, challenges and advice, in an effort to share those valuable experiences and inspiration with the world. 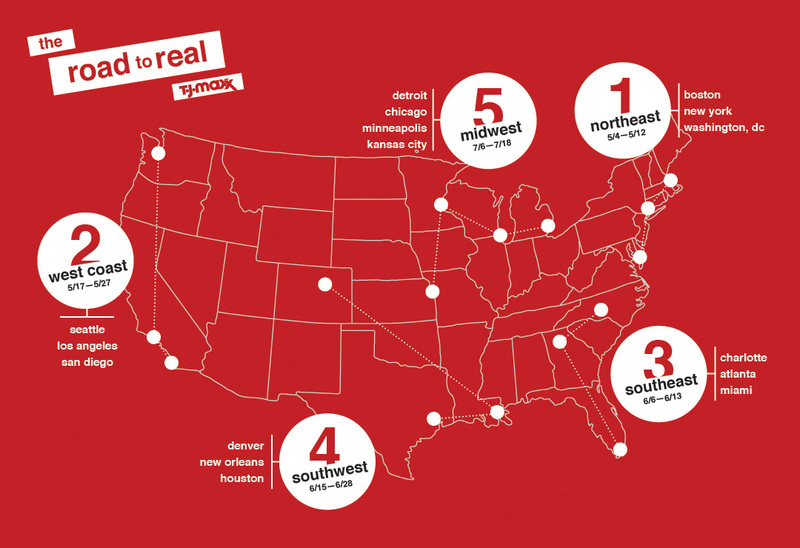 From New York City to New Orleans, and Los Angeles to Atlanta, the Road to Real tour will travel to T.J.Maxx stores in 16 cities. Schwarzenegger will invite women to participate in one-on-one storytelling sessions at their local T.J.Maxx. New York City-based photographer Andrea Chu, whose portraits of women from all walks of life have been featured on the pages of some of the largest publications, will be on hand to capture photos of each woman, to accompany the stories that are shared along the way. The tour kicks off in Boston on Friday, May 6, in conjunction with the grand opening of a new T.J.Maxx store on Newbury Street in the heart of Boston’s historic shopping district. Throughout the tour, Schwarzenegger will spotlight inspirational story excerpts, quotes and portraits from the women she meets via Instagram (@katherineschwarznegger), Facebook (facebook.com/KatherineSchwarzeneggerOnline) and Twitter (KSchwarzenegger) using #RoadtoReal, and on her web site “Lifestyle On Your Terms.” The tour will culminate in a gallery event in New York City this fall, where Schwarzenegger and T.J.Maxx will unveil a collection of photography and stories captured along the road about inspiring women in communities across the country. 3222 M Street NW, Washington, D.C.
For more information and to share your story follow us on Facebook, Twitter and Instagram and tag #RoadtoReal and #MaxxLife. 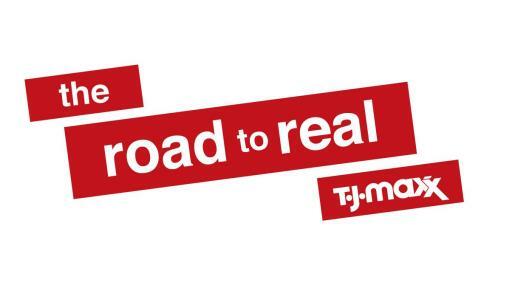 The Road to Real tour comes shortly after the launch of a new T.J.Maxx campaign that features a cast of real shoppers who share their inspirational stories. To view the commercial, visit T.J.Maxx on YouTube. In addition to the TV advertising, people can visit TJMaxx.com to see more from these women and how they make it work in their own unique way. For more on living a Maxx Life, visit Facebook at facebook.com/tjmaxx, Twitter at @tjmaxx and Pinterest at pinterest.com/tjmaxx and connect using #maxxlife.